Fear not, group #2—we at Food Hacks, being avid home cooks ourselves, empathize with your plight. Thankfully, there are a lot of ways to minimize the chances of an anxiety attack this Thanksgiving that we ourselves employ each year. And if all else fails, then break out the booze (and cook with it, too). Yes, the carb-lovers' delight; you can't have a proper Thanksgiving feast without mashed potatoes! But this simple staple involves a lot of work, as anyone who has had to mash enough potatoes for 20-30 people can attest (yes, I mean me). I've wasted a lot of time peeling potatoes in the traditional way, but apparently there is a much faster way to peel potatoes that only takes a minute. If you have a clean, unused toilet brush (emphasis on unused) and a power drill, then you can kiss that flimsy vegetable peeler goodbye. Simply boil the potatoes with their skins on, then immerse them in an ice water bath for 10 seconds or until they're not too hot to touch. Then pick up the potato and pull the skin off with your hands. Once your potatoes are peeled, they're in need of some mashing. We recommend using a potato ricer for extra-fluffy taters if you've got one (and if you don't, you can find one here). 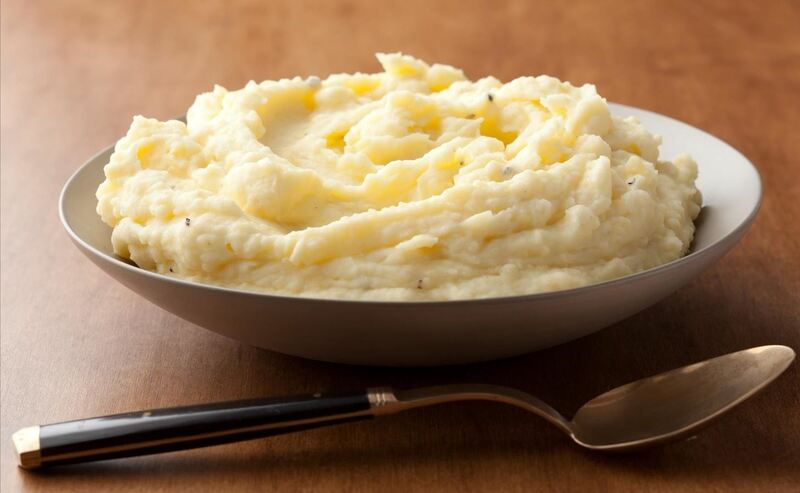 And lastly, use this handy trick to make your mashed potatoes fluffy without having to add extra butter or milk. If you love potatoes but are getting bored with the same old mashed potato side dish, Hasselback potatoes, crispy roasted potatoes, and kid-friendly tater tots are equally tasty substitutes. Stuffing is just as important as the turkey—and some may argue that it is more important, as its flavor is often used to enhance each bite of the big bird. Since stuffing is basically a savory bread pudding, it also benefits from stiffer bread that will hold its shape despite being soaked with broth. Because of this, stuffing is a great way to use bread that has gone stale—and this includes stale bagels as well. 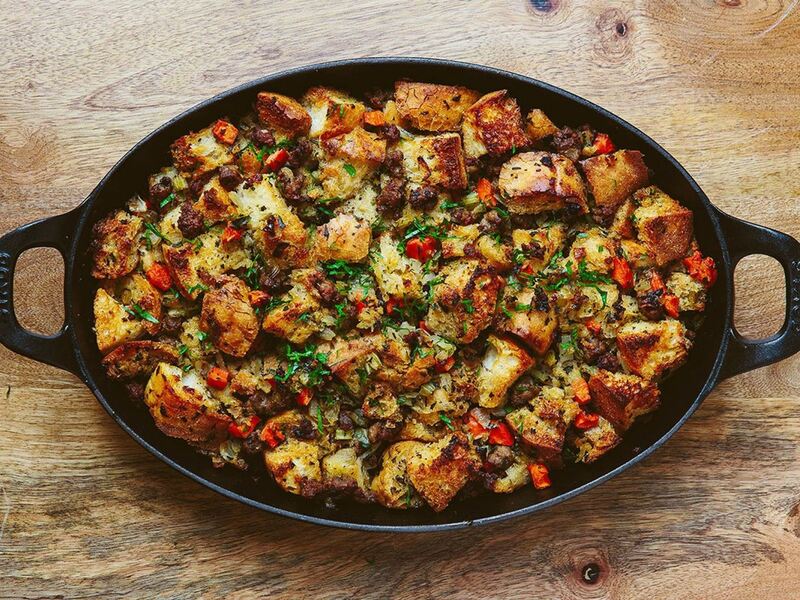 While I love traditional stuffing and can eat it any day of the week, you may be looking for different ways to enjoy eating stuffing; don't worry, there are hacks for that. 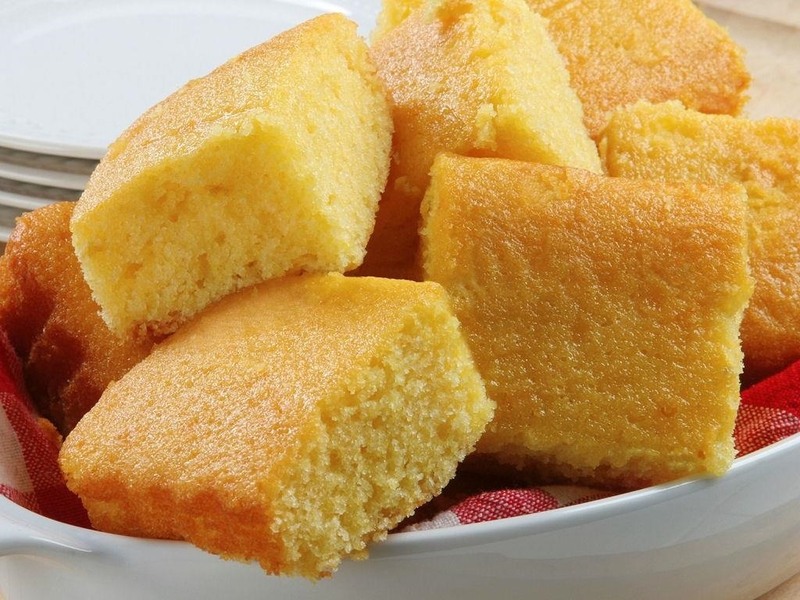 While I will admit that the boxed mix makes a decent cornbread, there's no reason you can't make your own mix in advance and bake it fresh for the feast. Better yet, add creamed corn to your homemade mix and watch the compliments pile up at dinner. I've never been much of a cranberry fan; this is likely due to the fact that I grew up with canned cranberry jelly and not real cranberry sauce. While I've made peace with my mother for the years in which I was cranberry sauce-deprived, I've vowed to never follow in her footsteps... well, when it comes to cranberry sauce, that is. If you'd like to add a little pizzazz to the plain recipe, we've got a recipe that uses port wine in the sauce for added depth of flavor. 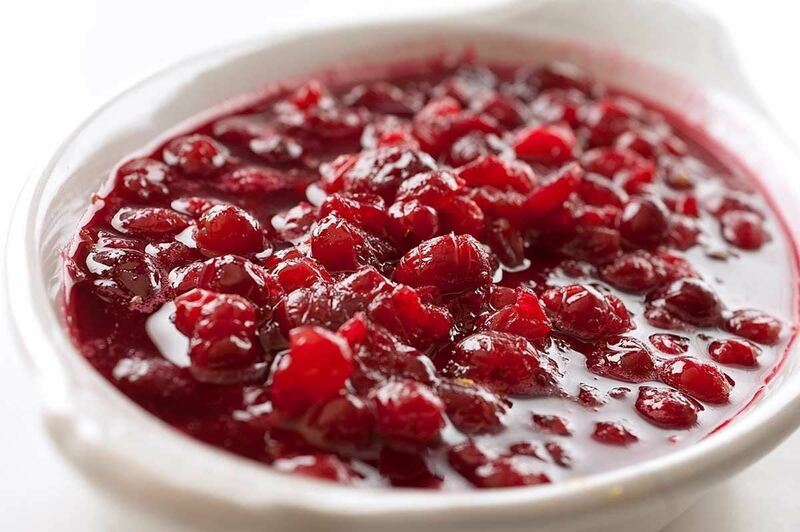 Or, you may be tired of the same old boring recipes—in which case this cranberry chutney recipe is right up your alley. 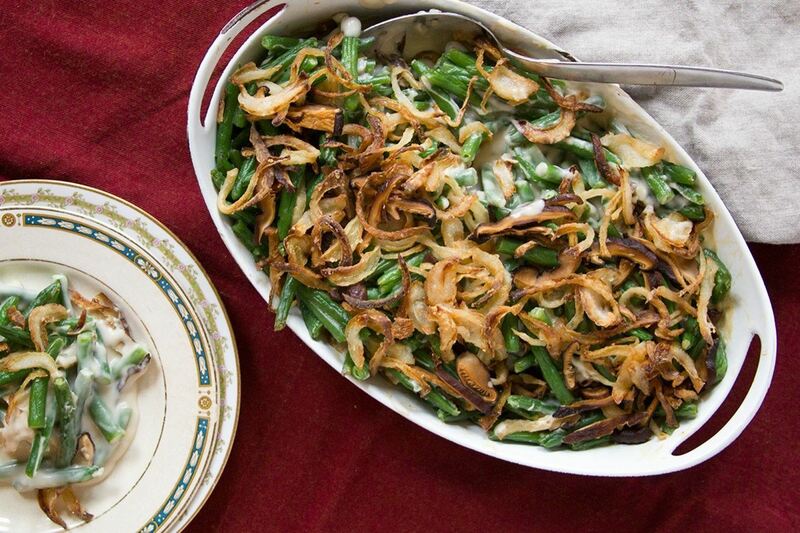 It's now quite well-known that the ubiquitous green bean casserole was invented in 1955 by the Campbell Soup Company to promote use of its cream of mushroom soup. The campaign was so successful that, nowadays, it's hard to imagine sitting down at the table on Thanksgiving without seeing this fried onion-topped dish. Although using the canned soup is classic, I prefer to make the casserole itself from scratch: with homemade soup, home-fried onions, and fresh green beans (more specifically, of the haricot vert variety). If you choose to do the same, be sure to blanch your green beans before you add them to the casserole—both to preserve their bright green color and to shorten the overall time in the oven. As for the soup, you can follow this series of video tutorials that walks you through making cream of mushroom at home. And last—but most certainly not least—the fried onion has to be on point. That's why I use this recipe from The Pioneer Woman, which is not only easy to follow but sinfully delicious as well. We've come to the climax of the show... the main star of Thanksgiving, the turkey itself! Turkey can make or break your entire meal, and it's important to know the common mistakes that most people make in order to avoid making them yourself. 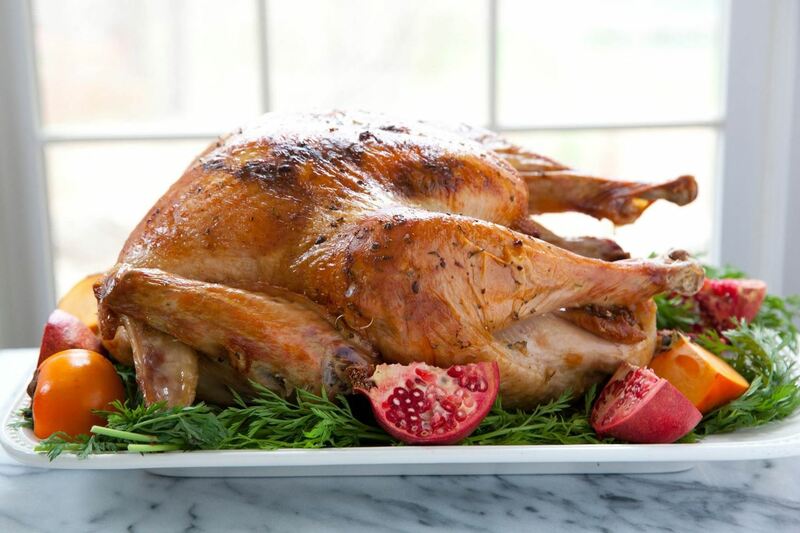 My favorite method of preparing a turkey involves brining, or submerging the raw bird in a salt solution. The best part about brining, hands down, is not having to baste the turkey continuously while roasting! 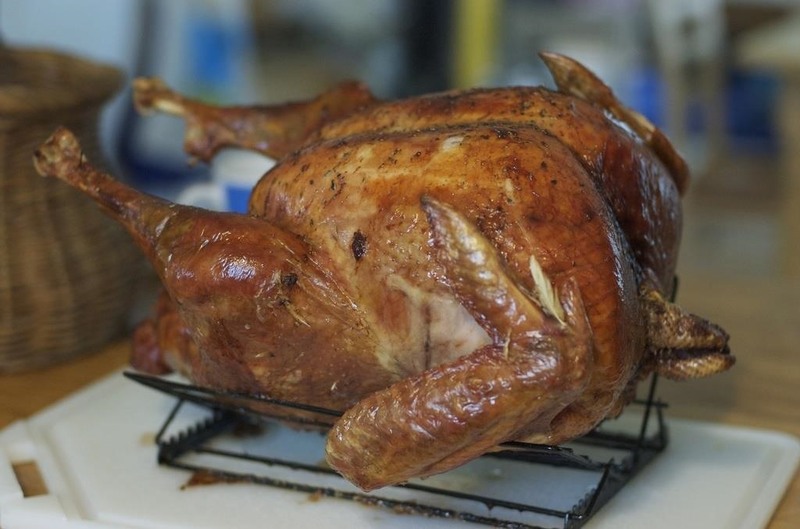 Deep frying the turkey whole has become popular in recent years as well, and this preparation also produces a juicy, flavorful meat. However, be aware that deep frying comes with its own set of precautions: make sure you know how to put out a grease fire before frying up a bird at home. And don't forget to switch things up once in a while, as prepping turkey the same way every year can get boring and become a chore. For a traditionally-roasted bird, nothing beats a good ol'-fashioned roasting rack. Keeping the turkey off of the pan ensures both even cooking and a crisper skin, and the pan juices collect without being re-absorbed when the bird is held aloft by the rack. This dessert is the highlight of the spread for me, and I always make sure to have space in my tummy for one slice (or two) at the end of my gluttonous meal. The pie crust is probably the part of this dish that requires the most attention—and is often intimidating to new bakers. Check out our guide on what makes or breaks a pie crust to help you master the basics. And if you've got vodka lying around (who doesn't? 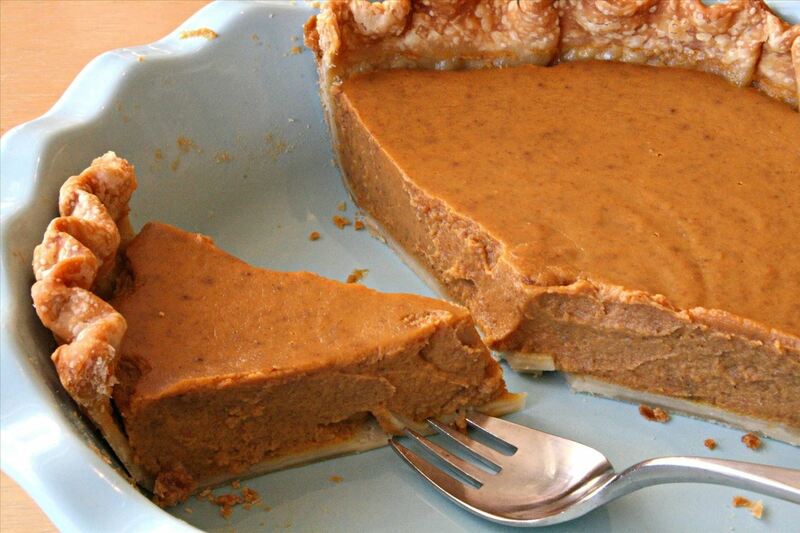 ), then you may want to give this vodka pie crust a go. As for the pumpkin, the big question is whether or not you want to use a fresh pumpkin or use canned (which you should always keep in your pantry, both for pie and other reasons). If you decide that you'd like to go the extra mile and make the pumpkin filling from scratch, I recommend using a sugar pumpkin instead, which is smaller than the usual jack-o'-lantern-sized pumpkins and has a higher sugar content. However, if pumpkin pie has started to become trite at your dessert buffet, or if you're running short on time, these two-ingredient pumpkin brownies make a nice, uncomplicated substitute. Thanksgiving can be stressful in the hours leading up to dinner, but don't forget to enjoy yourself once everyone is gathered at the table. Even if your pie crust is a little burnt or your potatoes a little bland, the most important part of the holiday is to spend quality time with the people you care about most... while stuffing your face with gleeful abandon.